CES 2010 will see a record number of new exhibitors, with more than 330 companies joining the existing 2,500 at the Las Vegas show this year. Although the likes of Apple's widely mooted iSlate and Google's Nexus One phone are being announced outside of the show, the tech world will still be fully focused on the largest consumer electronics show. Apparently more than 20,000 new products will be on display for the CES 2010 show – which opens officially on January 7. 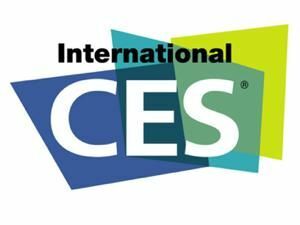 "With a record number of new exhibitors, scores of new product introductions, several new Spotlights on the show floor and a dynamic lineup of keynotes sessions, the 2010 International CES will be our best show yet," said Gary Shapiro, president and CEO, CEA. "More technology deals will be made during the four days of CES than anywhere else on earth. In fact, each CES attendee has an average of 12 meetings while at the show, reinforcing CES as the business hub for technology. "Innovation is flourishing within the technology industry and the 2010 CES is the only place to see it all." TechRadar will of course be covering all the goings on and announcements made at CES 2010 in the coming days.